SportsBetting Poker is a site that deals with poker bonuses, casino bonuses as well as sports bonuses. The site shares few bonuses across all platforms, like the ‘Refer A Friend’ Bonus or more, however, most bonuses are limited to particular game types only. Like the bonus mentioned below is only playable on real money ring tables. SportsBetting Poker $1100 Daily Cash Race Promotion is a part of its Weekly Leaderboard Promotion that offers a chance to share a total prize pool of $10,000 among the existing players. Any play on real money cash tables on a daily basis will count towards participating in this bonus promotion. And as the promotion runs daily, there are plenty of prizes to earn from for players among different stake levels & categories. Sign up and login with a real money account at SportsBetting Poker. Enter the cash race by placing rakes on real money ring games. Earn points on raked hands. A player can earn one point for each raked hand. Climb the Daily Cash Leaderboard by collecting these points. Lastly, if a player manages to finish in the top 3 within their particular stake level or category, he/ she stands a chance to win a share of $1,100 in cash daily. 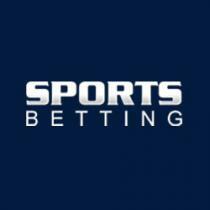 A player must have a registered account at SportsBetting Poker. A player must be of the legal age of 18 or more to participate in this daily promotion. Only play on real money cash tables is eligible to enter & win this promotion. This promotion runs between 20:00 pm (ET) till 19:59 pm (ET) on a daily basis. Any gameplay on Play Money Tables will not count towards this promotion. No play in Tournaments or Sit ‘N Go’s will qualify towards this promotion. Game play on Bad Beat Jackpot Tables & Boost does not count towards participating in the Daily Cash Race. The cash prizes will be rewarded instantly & automatically, based on a player’s position at the end of the daily promotion. Players can win on multiple levels in this promotion i.e if a player scores a place within the top 3 in the $0.50 and $1 Stake, he/ she can also score a place in the $1 & $2 level stake. All prizes will be awarded to players at 00:01 of the following day. Apart from SportsBetting Poker bonuses & promotions, find other latest casino promotions ranging between No Deposit & Deposit Bonuses along with their bonus/promo codes here!